Hello everyone! With only slight reluctance, we have decided to sell prints. As you may or may not know, PublicAdCampaign is a personally funded endeavor that attempts to engage issues surrounding public media production and private media production in public space. This process takes many forms including individual street actions, gallery productions, large scale organizational disobedience, and upcoming this year curatorial projects in public space of both the authorized and unauthorized kind. 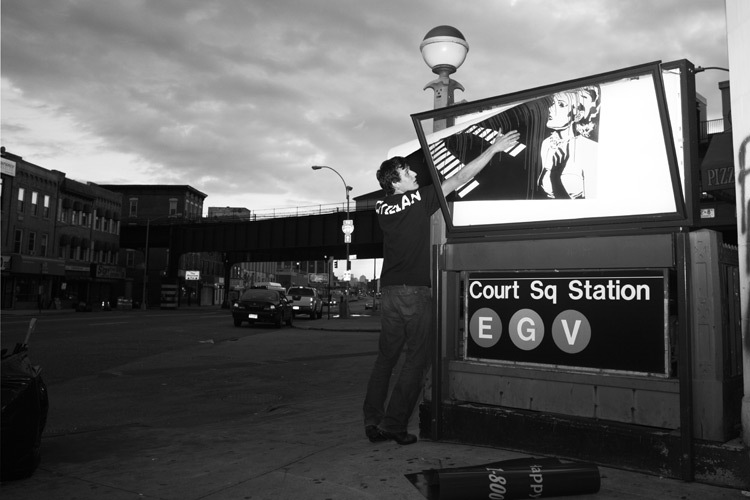 In order to support these endeavors, we are offering 5 prints of advertising takeover projects we are particularly fond of here at PublicAdCampaign. Each image represents the larger PublicAdCampaign mission and your purchase of a print will not only function to brighten your home or office, providing endless conversation starters for your guests and co-wrokers, but will also support an art/activist project intent on promoting arts role as a vehicle for social change. All five available prints can be found [Here]. Please direct all inquiries to Jordan@PublicAdCampaign.com.